It is common for children who have joined a family through adoption, permanent care, or long-term foster care, to have experienced trauma to an extent that their development, their sense of safety, their ability to learn and to engage positively with others, are significantly impacted. The impacts of childhood trauma and attachment difficulties are still not well understood in the wider community. Without knowledge of trauma and its impacts, professionals such as doctors or teachers may inadvertently re-traumatize a child, and may not understand that their behaviour or symptoms could be adaptations to trauma. Educate yourself about childhood trauma. Inform professionals working with your family of your child’s background on a need-to-know* basis. 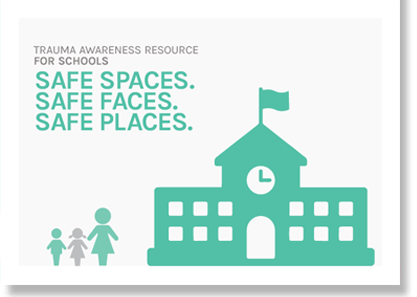 Ask professionals about their knowledge of trauma and its impacts on children. Bring Adopt Change’s trauma-resources (see below), or other relevant information, to their attention. Your child’s privacy is extremely important. However, in order for teachers, doctors, and other professionals to support them you will need to share relevant information about their history on a need-to-know basis. Need-to-know means sharing as much information as is necessary with a professional in order for them to provide the best possible care for your child. Foster parents should speak with the Department or their Agency for clarification on the information they are allowed to provide. These resources are freely available to download and give to your child’s teachers. 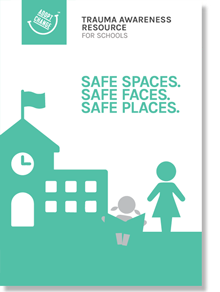 Safe Spaces, Safe Faces, Safe Places. An Adopt Change booklet introducing the concept of trauma and outlining the key areas of trauma-informed teaching practice. An Adopt Change information paper introducing the concept of complex trauma; the reasons why children who have spent time in OOHC and/or have been legally adopted, may be at particular risk of experiencing long term trauma; and practitioner reflections on the implementation of trauma-aware practices when working with children and young people. Information on Adopt Change workshop for teachers and carers (as part of our Safe Faces, Safe Places, Safe Spaces supports) will be available soon. Resources for other professions, including doctors and allied health providers, are in development and will be available here in the near future.